In her school’s urban environment, most of the students live at or below the poverty line, but nothing stops Ivan from delivering gold-standard leadership and technical instruction. It’s one of many reasons she is SkillsUSA’s advisor of the year. Her chapter accounts for more than half of the students from Saginaw Career Complex who attend SkillsUSA Michigan’s fall leadership conference. In her culinary, bakery and hospitality program, Ivan values SkillsUSA’s leadership development and competitions equally. Eight of her SkillsUSA members have made it to the national level of competition. Ivan also serves on Michigan’s technical committee for Culinary Arts, helping to make sure the state SkillsUSA competition reflects national standards. Ivan is also an expert for the WorldSkills Competition, helping the international technical committee develop standards for the Bakery contest. 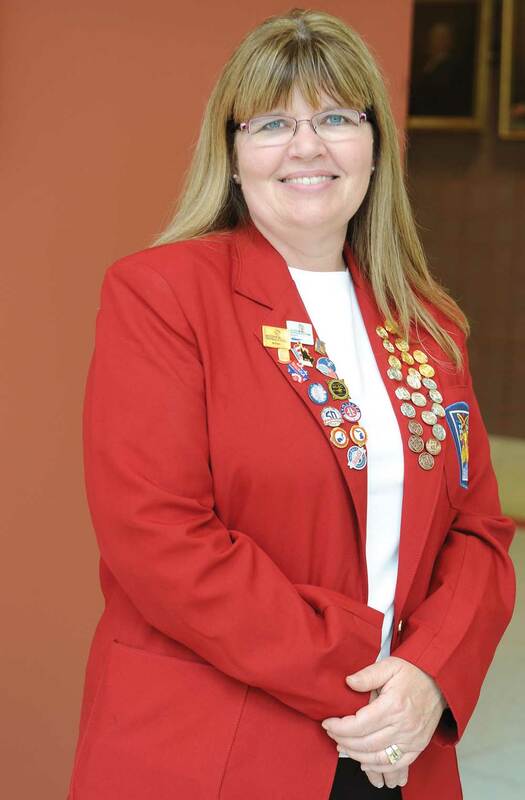 She was president of the SkillsUSA Michigan board last year. For all the important roles she plays, Ivan always brings it back to her students. “It comes from the heart,” she reaffirms. To reinforce the value of creating a path for the future, Ivan brings former students back into her classes as mentors. One of them, who went on to study at the Culinary Institute of America, works as an executive chef. At the start of the school year, Ivan tells students, “I’m here to help you to achieve, to learn and to grow.” To help do that, she mixes her technical program with service and professional development activities. “We do a professional day where we hold interviews at our local college,” she says, where her program graduates come in to help with practice interviews. All of Ivan’s students also participate in an unpaid work opportunity. “Our school tries to do as many different community service projects as we can,” she adds. Students help create gingerbread houses for a city display, support a shelter for domestic abuse victims, assist at a food bank, and collect items for needy families during the holidays. “SkillsUSA has changed me as a teacher, and incorporating SkillsUSA has enhanced my curriculum,” Ivan says.